Free ESADE MBA Essay Samples | Aringo consultants are the top in the world! ESADE MBA Essay Example #1 - Question: Which aspects have you improved on during your academic and professional career so far? Which tools or values have helped you achieve this? There are several areas in which I continuously work to improve. The main area is leadership. When I joined my family-owned business I realized that in order to earn authority within the organization, I needed to have my ideas approved at the management meetings. I had no track record and, therefore, did not receive sufficient support for my ideas. I then adopted a framework I read about in the book “The Theory of Persuasion” and started preparing the ground for each meeting by first presenting the idea to each manager separately and gaining their buy-in. This strategy helped me build an internal network and create coalitions, and greatly improved my ability to make an impact on the organization. Two years later, I had another growth opportunity as a leader when one of our clients told me that he was dissatisfied with our production rate. Meetings I held with all employees to discuss ways to solve this problem failed to have significant impact. I did some research and learned about “the meaning effect”, where the work rate goes up when workers understand the meaning of the project. So, I started gathering all of the production employees for weekly 15-minute presentations, during which I showed them the effects on people of the final product. For example, I illustrated how many lives were saved during the previous year thanks to a medical device we produced. Eight months later, I examined the reports and discovered, to my delight, that these steps had improved our production rate by 14%. Another aspect I have developed is my teamwork capabilities. During my military service, I noticed that under stressful situations, I did not delegate enough to my team. I noticed that I took on myself the lion’s share of the work in order to have it completed faster. When the situation was calmer, I reflected on my behavior and understood that I could not continue to act in this manner. I started giving my subordinates more responsibility and realized that effective teamwork fosters creativity and learning, results in higher efficiency and builds trust with mutual support. ESADE MBA Essay Example #2 - Question: How will your background, values and non-work-related activities enhance the experience of other ESADE MBA students and add to the diverse culture we strive for at ESADE? Following conversations with ESADE Alumni, I realized I could play a significant role in several business clubs at ESADE. Twelve years ago I joined my parents, sisters and few other family members and started working at our family-owned business. My family business, an R&D and manufacturing service provider owning 4 plants in my country, is my greatest passion and I see myself sharing my know-how with the members of the Family Business Club, as well as learn from their experience representing other family owned businesses from around the world. Our family supported my father during difficult times of financial uncertainty as he was establishing his business. I grew up in a poor neighborhood with no financial stability, so I am well aware of the hardships of such life. As my father’s business became profitable, our financials improved as well. Knowing the challenges underprivileged people are facing, and being eager to help, I organized and took part in many volunteering events, such as soliciting donations for kids, renovating playgrounds and painting classrooms at schools. I see myself continuing to do the same at the Net Impact Club. As I advanced in my career, I developed a greater interest in green energy. I enjoyed working on projects that were related to this topic. During my undergrad studies I wrote essays and presented this topic to the Entrepreneurship Club. I am looking forward to expanding my knowledge as part of the Energy & Environment Club. Throughout my life, my main recreational interests have evolved around sports: I was an amateur tennis player and swimmer, and I love watching football and supporting Barcelona F.C. However, while enjoying a variety of sports, I spent most of my time playing basketball. I played for 12 years until I was 18 years old and then chose to pursue academic studies over an offer I received for a professional contract from a number of basketball teams. Therefore, I can’t wait to play an integral part of the Sports Business Club. ESADE MBA Essay Example #3 - Question: What are your motivations in pursuing a full-time MBA at this point in your life? Describe your mid-term and long-term visions for your post-MBA career path. 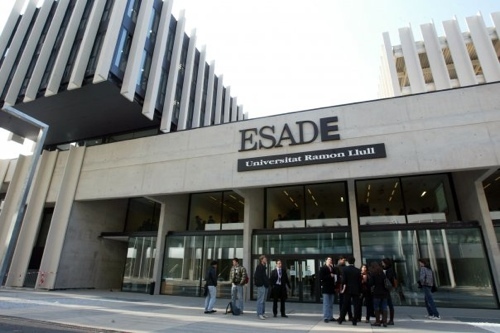 What is it about ESADE you think will help you reach your goals? After the MBA I plan to return to my family business, Z.V. Technologies, an R&D and manufacturing service provider owning 4 manufacturing plants in my country, and further develop the company and myself. As the next CEO, my mid-term career goal is to lead my family-owned business to become a stable international company, by penetrating strategic markets in North America and Western Europe, and surpassing our competitors on three major measures: the quality of our products, manufacturing lead-time, and competitive pricing while maintaining profitable growth. In the long term, my dream is to drive the company to specialize in a smaller number of services, allowing us to gain a leading share in a larger market. I plan to focus on medical instruments and green energy, as I believe that these areas will be relevant for many years to come. Completing an MBA will help me achieve my goals by acquiring the necessary tools required to manage a global business. Now is the perfect time for me to do so. On the one hand, I have gained several years of work experience. On the other hand, I am still at the beginning of my career and believe that an MBA degree from a world-class business school such as ESADE will help me develop an effective managerial style. When researching different MBA programs I was looking for a small yet international program. With classes such as Doing Business Globally, Family Business Management, Innovation & Creativity, International Portfolio Management and many more, ESADE is the ideal program for me. I am looking forward to learning from Prof. Alberto Gimeno, director of the international family business lab. It suits me professionally and would provide me with the tools I need to reach my goal and realize my dream. How can you improve yourESADE MBA Essays?